With the stressful Monday morning meeting I mentioned last week past, the remaining week got strange whereby the remaining stressful events seemed to fall off my calendar, sadly delaying themselves for the next week. Of course that sounds pleasant, but in reality it’s another week spent dreading the next. With that said though Friday worked out oddly as well, as the day started a bit earlier than normal, leading to the rest of the day running a bit ahead of schedule, much to my surprise. That in itself translated into the work day being over early, and even dinner being done early. This also meant I got to some gaming early as well, but not to my backlog or current plays but rather playing two hours of STO Friday evening and spending an hour playing my Air Combat arcade machine after that before finally getting to two of my “This weekend’s plays”. No Mans Sky (PS4) – Great time to buy this one especially the limited edition since everyone is bailing on this game, who as I predicted thought they were buying something else. Anyway sealed limited edition, quarter of the original price can’t go wrong. Project Sylpheed (XBox 360) – In the process of discussing Darkstar One with the Space Game Junkies this is another game they suggested and liked a bit more. It’s roughly the same in price as Darkstar One being dirt cheap, so I picked it up too. It looks really cool, but sadly is no relation to the SHMUP Silpheed. Robotech: Battlecry (XBOX) – Again “dirt cheap”, and an attempt to expand my XBOX collection. Star Trek: The Next Generation – Final Unity (DOS) – I’m going to thank Joe Mastroianni with the Upper Memory Block Podcast for getting me to look this one up. Obviously, you had to guess a SHMUP and/or Star Trek game would be a buy for this weekend. 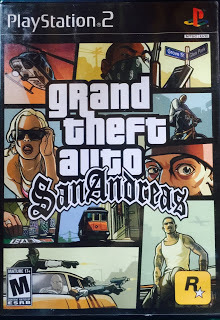 This is another game that again verged on being “dirt cheap” and I picked it up NIB. Thunder Spirits (SNES) – Yes a SHMUP too. This is Thunder Forces only entry on to the SNES, and is more or less a remake of Thunder Force III on the Genesis. Star Trek: Borg (Win 95) – Following along with this weekends “dirt cheap” theme, this mostly FMV “interactive movie” game, has a bit of a cult following and I look forward to trying it out. Monster Party (NES) – It’s been awhile since I got an NES game, but this odd one also is a cult and Halloween classic. Darklight Conflict (PS1) – OK, this weekend’s general themes “dirt cheap” and space combat sims although unofficially. 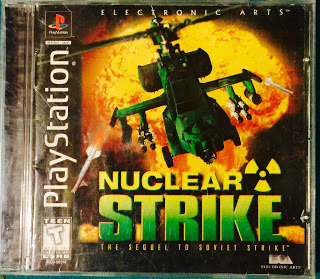 Nuclear Strike (PS1) – Ok, I will have to admit this by far is the best of the “Strike” games. I looks really good and with the PS1 controls is really easy to play. My only complaint is that with the better graphics the roaming around in circles, you can really get a little nauseous. That and the FMV stuff in between is kind of cheesy and cliché . Great game though overall, good to see the franchise went out with its best title. 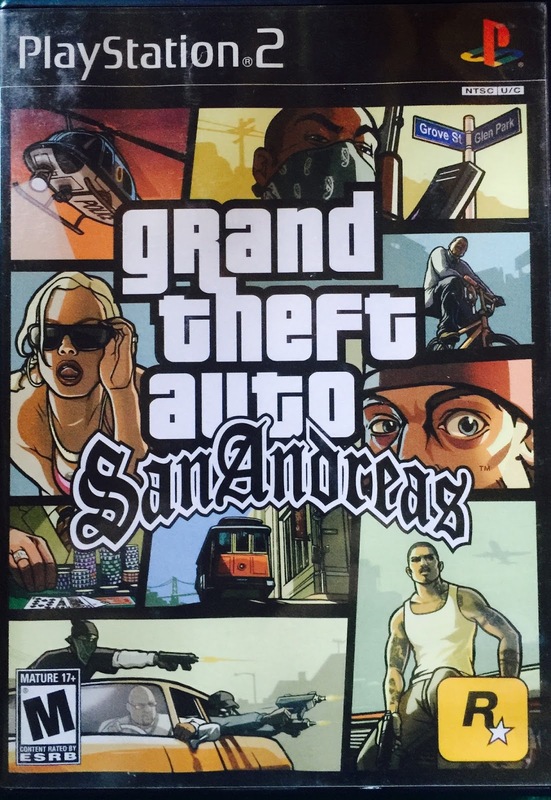 GTA: San Andreas (PS2) – For a PS2 and GTA game the graphics are a little lacking, but it’s a hell of a lot of fun. Frankly, I couldn’t figure out what I was suppose to do so I just ran around creating havoc getting killed numerous times. If you don’t take it to seriously, and want to exorcise your inner criminal these games can be a blast, as long as your kids don’t play them or let them watch you play them. 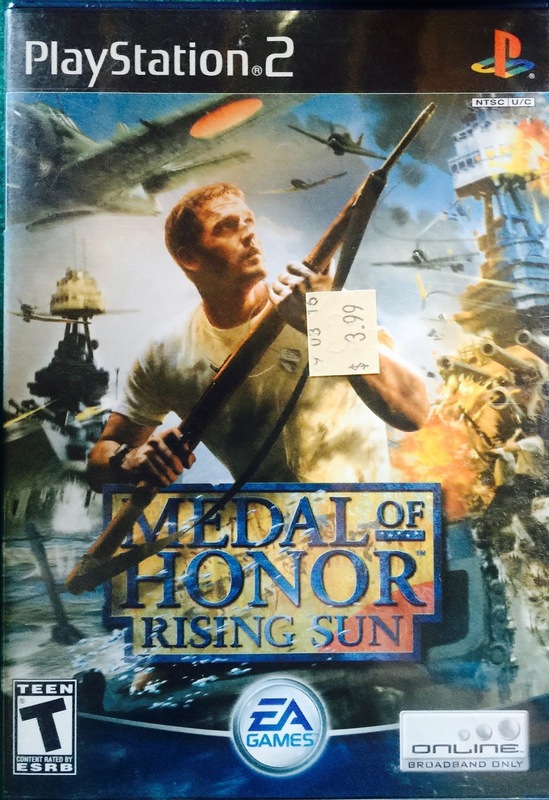 Medal of Honor: Rising Sun (PS2) – As with the above GTA game, you can definitely see how the PS2’s graphics are starting to show their age. With that said though I’ve always had a lot of respect for the Medal of Honor games. These games although not 100% historically accurate, do attempt to recreate historical battles and events with some accuracy. I think that’s part of the reason I’m looking forward to Battlefield 1’s release next month, so that we finally have a modern entry for this type of game. For this particular game you’re in the role of a US Marine, who is onboard the U.S.S. California the morning of December 7th, 1941. After helping fend off Japanese attackers and witnessing the Arizona’s demise, you move on to you career as a Marine in the South Pacific. It’s a very well done game, and an obvious juxtaposition to GTA above. 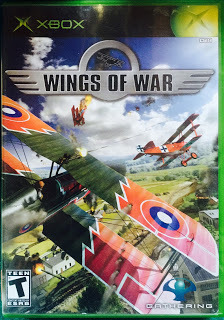 Wings of War (XBOX) – I’m a little disappointed this one wouldn’t work. 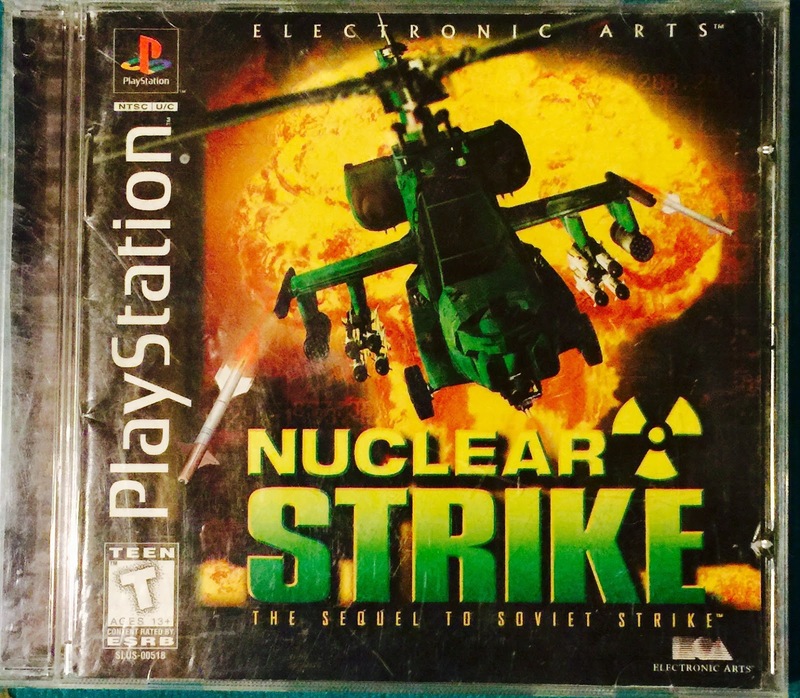 Contacting the eBay seller on this one may have to bring it to my local video game store for resurfacing. 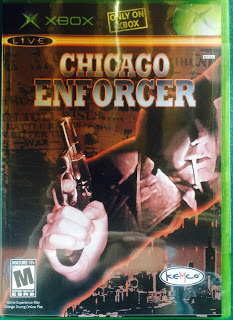 Chicago Enforcer (XBOX) – This is an ok game, and a very simple FPS. It reminds me a lot of the original Doom, or Wolfenstein in that it’s just simple and to the point without the cut-scenes, music, and theatrics of other more modern FPS’s. So if your looking just to shoot stuff up and not get too deep, all while in a historical setting, this may be the game you’re looking for. So believe it or not this is all I could really play this weekend. I pretty much figured this weekend would be pretty busy, and not a lot of play time would be available, like Saturday when the opportunity didn’t even present itself. Hopefully next weekend I can get a little deeper into things, maybe back to backlogs or just current plays, of course I have to survive this week’s stressful moments to get there. Oh well, see you all on Friday night? Hopefully?